American wholesaler H&M Distributors, Inc. has announced that it will accept payments in cryptocurrency. Since its inception in 1997, H&M Distributors has established itself as providing cost-effective replacement ballasts, lampholders, and lampholder accessories. 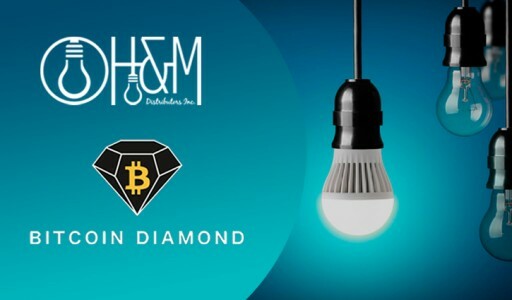 Through a partnership with crypto e-commerce platform Chimpion, retailers can now purchase products from H&M Distributors in Bitcoin Diamond (BCD), Bitcoin Cash (BCH), Bitcoin (BTC), Dash, Ethereum (ETH), Litecoin (LTC), Zcoin (XZC), and more. By paying with cryptocurrency, retailers around the world will have unprecedented access to H&M Distributors’ vast collection of products with lightning fast transactions that take just minutes to process. Furthermore, thanks to drastically reduced transaction fees (less than a penny), eliminated currency conversion fees, and freedom from chargebacks, H&M Distributors is able to pass on even more savings to their customers. Over the past several years, cryptocurrency has emerged as the next evolution of currency, thanks to its convenience, cost-effectiveness, and decentralization. Designed as a means of transaction as peer-to-peer electronic cash, it matches the functionality of traditional fiat currency and goes beyond in efficiency, accessibility, and security. Bitcoin, the first cryptocurrency, was launched in 2009, and hundreds of other digital currencies have since followed. In December 2017, the total market capitalization of cryptocurrency reached a staggering $818 billion, subsequently correcting above $200 billion. Launched as a vision of CEO Herb Needham in 1997, H&M Distributors, Inc. started out by distributing Shatter-Resistant Fluorescent light bulbs from a patent developed and designed by Herb Needham, and was later sold to GE Lighting as the Cov-R-Guard Fluorescent. Today, H&M Distributors has become an “On-Demand Stocking Master Distributor,” meaning that they build their inventory based on the needs their customers express. This inventory is complemented by a knowledgeable Technical Support team to assist with product crosses, wiring, and any other technical information.